Identifying Bed Bugs - Baby Doodah! The last thing I ever thought I’d be dealing with was bed bugs, but it happened, and here’s how we identified it. [photo source] This is not Emmett’s arm. In grade school, I vividly remember having lice in maybe 5th grade. It was a terrible experience. Not only the part of having the lice, but the clean-up involved in getting rid of it. Let me tell you that getting rid of lice is probably 10 TIMES easier than getting rid of bed bugs. Never in a million years would I ever suspect that we’d get bed bugs. We don’t travel, other than to my parent’s house and my in-laws’ (neither of which have the bugs), we don’t really go to a lot of places that you would typically think would have bed bugs, but, yet, somehow we managed to get them. We still don’t know how they got into our house, my hope is that they just STAY OUT! Over the Summer, Emmett had a terrible rash on his arms – we went to the allergist and to the dermatologist, where they determined it was papular eczema. Not a great diagnosis but with the right treatment, the doctor said it was something that could easily go away. With this eczema it caused lots of raised bumps that itched him like crazy, when he wasn’t rubbed down with the anti-itch cream. The rash was mainly on his arms, so when the same thing seemed to begin occurring on his legs, Seamus and I didn’t think much of it, especially when the doctor confirmed to just keep treating it the same way. A week or so later, I started seeing bites on myself, but it was summer, there were a few mosquitos here and there and plenty of flies who liked to sneak in. I just assumed it was one of those! I did jokingly make a comment to Seamus about it being bed bugs, but after a quick check of our mattress and not seeing anything there, I put it out of my brain. About a week later, I found a tiny little bug in Emmett’s crib. My stomach dropped, I quickly went to the fold of his sheet and crib skirt. There they were. I was sick to my stomach. I had no idea what to do. I knew that they could then be anywhere and started panicking. [sidenote: If there was one thing I could automatically change about myself, it would be the way I deal with extreme stress.] After a few panicked minutes, Seamus and I went to work, getting rid of everything, throwing what couldn’t be gotten rid of in the washer with hot water and then drying on hot and then we ran out to Home Depot. Our initial instinct was to try and treat this on our own, because the cost of hiring someone seemed astronomical. We did a lot of *quick* research, found a bunch of sites that talk about how you CAN have success fighting them on your own. I’ll share more on our initial process in a future post, but we got a pesticide and Diatomaceous Earth (affiliate link) to start with. We spent the entire Sunday afternoon cleaning his room. It was tough, but it was so important to get rid of them (again, more on our whole process in a future post). I did spend a little time in our room, checking the seams and got almost the whole way around without finding any and then found one and my heart dropped. If you see one there could be many MANY more. I started treating our room. Thankfully, Emmett was such a good boy that day, he got to watch a lot of TV while we were closed up in his room, getting things clean and then put back together. The next two days, we were diligently checking for anything and saw a few dead ones in the Diatomaceous Earth (affiliate link) and then one live baby in Emmett’s crib. We were stressing out big time, and just wanted to feel 100% safe in our own home, so we went ahead and hired Suburban Pest Control. They came in and treated the whole house. The treatment is guaranteed for 4 weeks, but if you’re still seeing live ones at the 3 week mark, they will come in and treat again. We used Suburban Pest Control, and so far they have been AMAZING! I would absolutely recommend them and they’re actually the #1 Pest Control in my area, on Angie’s List. Yeah! This whole journey isn’t over, yet. We’re getting there! We are more diligent than ever when checking and are hoping for this all to be behind us soon. If you are noticing bites, like those in the picture above on yourself or loved ones, please don’t hesitate to do a little search. Trust me, while you might think not knowing is better, I assure you that it is NOT. Read: How we cleaned up after finding the bed bugs. 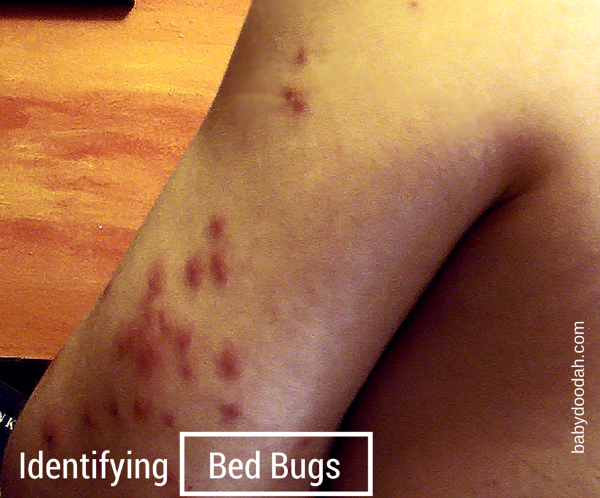 Have you ever experienced bed bugs? If so, what method did you use to remove them from your house? 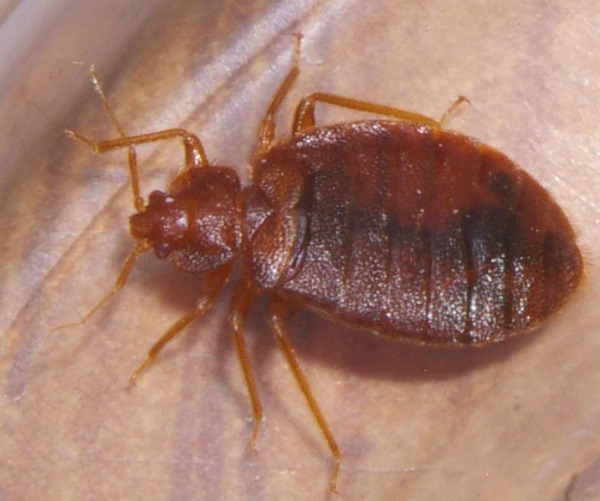 Do you have any tips for someone else who might be dealing with bed bugs? ← Reemergence – Where Have I Been? This is one of my fears too. Especially since my hubby used to travel a lot for work. I hope your journey ends soon as I would totally be panicking too. Thanks, Erlene!! It has sucked…but hopefully we’re getting over the hump. Thank you for visiting! HOLY COW!!!! So this summer the Hubs took the youngest to The Breyer Fest in Kentucky, and they stared at a hotel that shall remain nameless but was not the one chain that we usually stay at… Holiday Inn. URGH…. Luckily, they NEVER made it into the house. SO LUCKY!!!!! Sadly the kid had to deal with it for a whole week. The hotel took NO RESPONSIBILITY!!!!!! Disgusted!!!!! Would not even go and check the room, and confirm that they had them. Fell sorry for whom ever is staying there!!! That is terrible!! It’s awful to have in your own house, but at least you can scrub everything down and know it’s clean. You don’t have that luxury when staying in a hotel. I’m glad none of them came home with your daughter or husband. We had bed bugs last summer and I wouldn’t wish them on anyone! My oldest son had bites on his arms and we didn’t think anything of it, mostly because he and his brother shared a room and he was the only one with the bites. That soon changed and it was a nightmare. I couldn’t sleep for fear they were lurking in the cracks and preying on my children! We hired someone and they had to treat a total of 3 times, but was the best money we ever spent! Visiting from #turnituptuesday! Hi Serena – I feel so relieved that we weren’t the only parents that didn’t think much of the bug bites when we saw them. I still feel awful for letting it go, but I can’t keep beating myself up over it. I still feel the exact same way about the fear of them lurking in the cracks and preying on us. I still check around his mattress and floors every single morning. Ugh! !